San Antonio (March 22, 2014)-Another installment of Y-100’s presentation of the PBR at Cowboys Dancehall is in the books. The bull riders started off hot as a pistol-riding three out of the first four bulls bucked. First gunner Juan Alonzo marked 84.5 points on 871 “Hell Pony” to kick off the event and energize the crowd. Shortly thereafter, Francisco Morales & Lane Nobles rode two in a row. 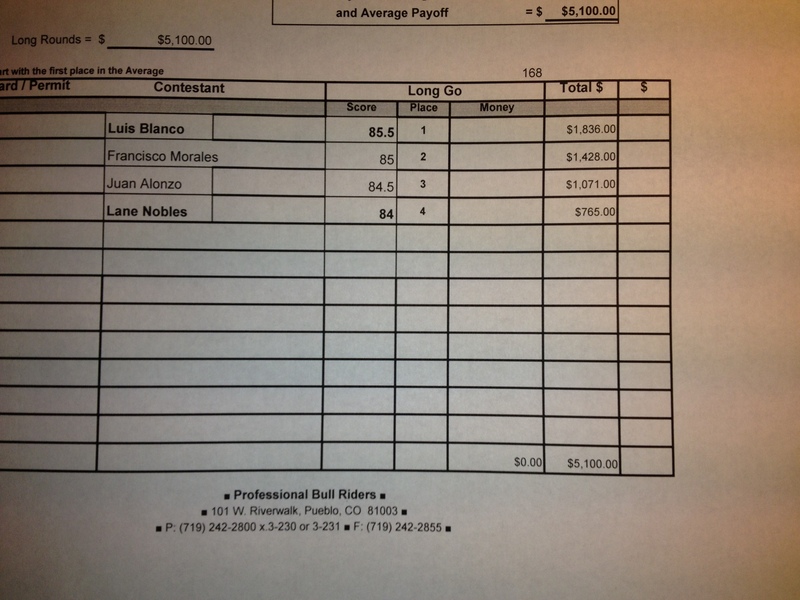 Morales’ 85 point ride on 7477 “Main Event” would end up earning him second place honors. Nobles then rode 82 “Downtime” to mark 84 points for a fourth place finish. Section two of the event was not so kind to our bull riders. Only one cowboy, Luis Blanco, was able to ride to the eight second mark. 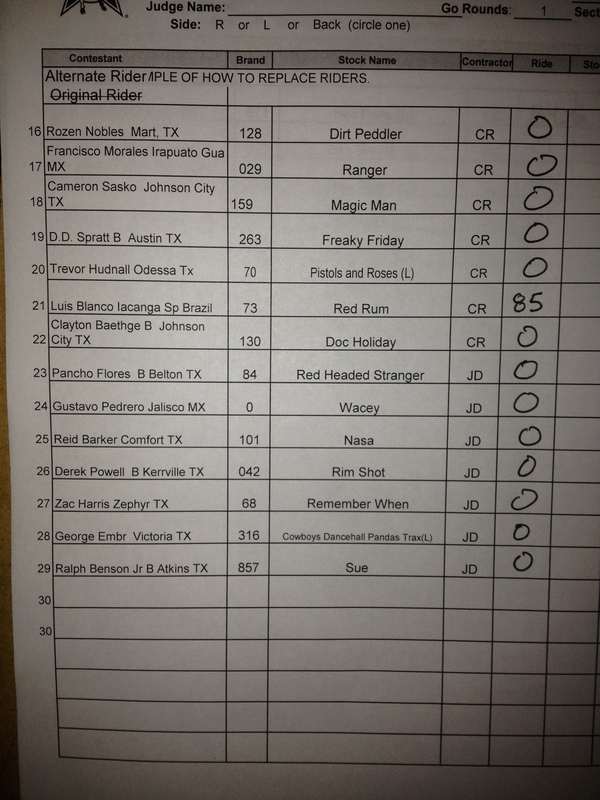 Blanco a native of Iacanga, Sao Pao, Brazil rode Covenant Rodeo Livestock’s 73 “Red Rum” 85.5 points and the event win. 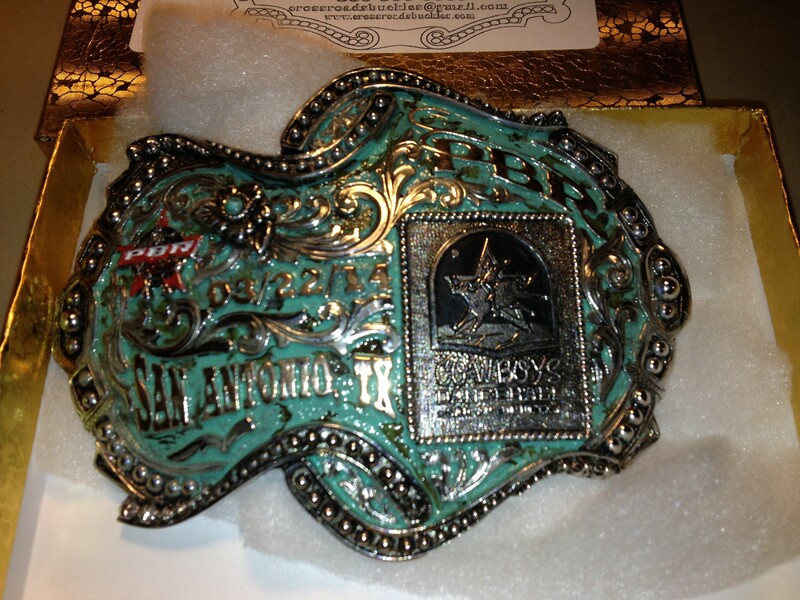 This effort earned Blanco $1,836.00 and the championship buckle. If you didn’t make it to this event, you missed out on world class bull riding, a rockin’ crowd and a heck of a good time. 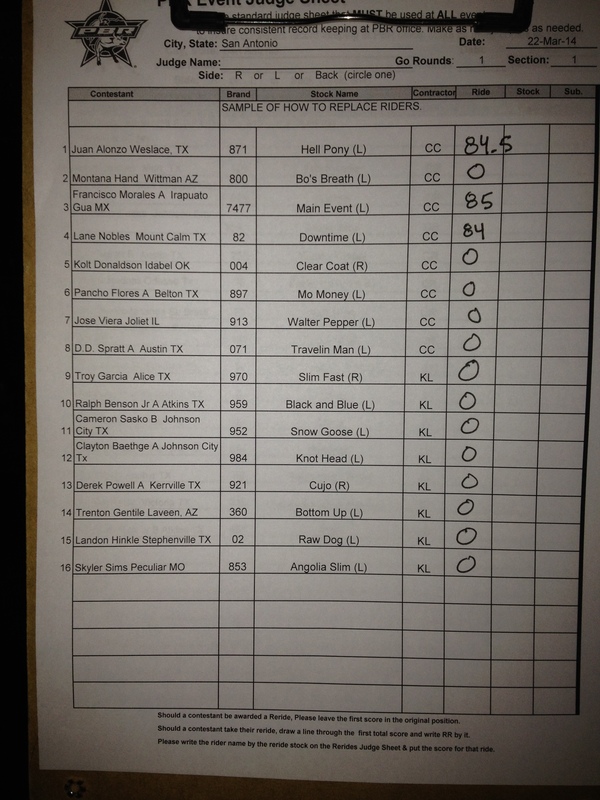 Make sure to put the next presentation of the PBR at Cowboys Dancehall on Saturday, April 12th!